Amy is not following anyone. GP @ Maveron-runs SF. Operated & invested in consumer companies - commerce, consumer finance, education & marketplaces. Current boards- Lemon,General Assembly,SAY Media,,Live Mocha, Altius Education. 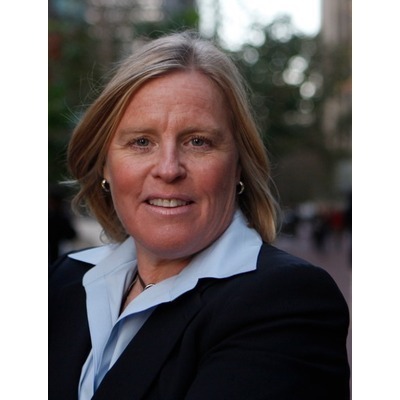 Amy J. Errett is a General Partner @ Maveron a venture capital firm. Her past experiences include being a founder, entrepreneur, senior executive,investor and social mission visionary. She has operated and invested in online and offline consumer companies including commerce, consumer finance, education and marketplaces. Errett is a GP @ Maveron where she manages the Bay Area presence and invests in early stage tech enabled consumer companies. In 2007, Errett was an EIR @ Trinity Ventures. She is currently on the board of Lemon,General Assembly,SAY Media,,Live Mocha, Swaylo and Altius Education. As an operator @ her roots, Errett was the CEO and co-owner of Olivia repositioning the company from a travel company to an affinity group lifestyle destination company serving the gay market. In 2006, Errett was chosen as the Ernst & Young Entrepreneur of the Year for Northern California. Errett founded and served as Chair and CEO of The Spectrem Group, a worldwide strategic research, consulting and M&A firm. She sold Spectrem to IPG (NYSE:IPG). Post sale, Errett joined as a corporate officer of E*Trade where she diversified the company's business beyond brokerage by leading E*Trade into major growth areas and lead their business to business division and asset-based products and investment management services division. Amy believes in the power of giving back and has dedicated herself to supporting humanitarian organizations. She is the chair of the board of the Glide Foundation, San Francisco's largest non-governmental, direct social service organization that feeds the poor and houses the homeless. She serves on the Wharton West Advisory Board, board of StartOut and is an active member of YPO Barbary Coast chapter in Northern California. Errett earned a Finance/ MBA from the The Wharton School and a University of Connecticut/BA. She and her partner, Clare,live in San Francisco with their fantastic daughter, Madison. Amy was mentioned in a VatorNews article "Madison Reed launches with $12M Series B"
Amy was mentioned in a VatorNews article "Madison Color gets $4M for personal hair-care delivery"
Amy was mentioned in a VatorNews article "David Hornik brings 'Gangnam Style' to Vator Splash"
Amy became a competition judge for the Vator Splash SF (September 2012) competition. Amy filled out investment critera.